The moment you see Sitara Devi ji here in every frame the bright spirit comes alive. Not only for women’s day but for my respect and remembrance I thought to “google” some images of our great Artist. From thousands of images I could select few and copied and pasted here. I wish i can write a small booklet on her. Each frame tells a story. That story I will imagine and try to write in my way. But for now, on women’s day, she is the true symbol to pay respect towards her (an untiring spirit of a woman). I had seen her programs on Doordarshan all black and white broadcast from Lucknow Doordarshan Kendra during 1980s. I wish all are available in doordarshan archives? Similar programs of GopiKrishna were also telecasted. I am not the only one who is in awe of her. The famous Dance critic writer Sunil Kothari said about her “Sitara was exceptionally talented. Full of energy and infectious spirit, her dance cast a spell on audiences, not for the nazakat (delicacy) and khubsoorti (beauty) the Lucknow gharana was known for, but for her electrifying Kathak. Sitara’s endearing way of speaking to the audience, be it in Motihari village in Bihar, or Carnegie Hall in New York, won her the affection of connoisseurs and lay people. She was a law unto herself.? These words sum up about her in little. The moment Sitara Devi ji used to come on stage, whole of stage seemed to be electrified. Although SitaraDevi ji hailed from a Brahmin family, where it was a social stigma on dancing by girls of such families. But due to encouragement from her Father and guru Pt Sukhdev Maharaj, she got opportunity to learn Kathak Dance from her elder sisters Tara ji, who was mother of Natraj GopiKrishna ji. 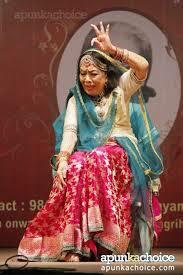 Another elder sister was Alakhnanda ji who was also a famous kathak performer of her time. I think she died nearly in 1984 ??? i dont remember exact year. But when I went to BHU to appear in an examination there i had read in a news paper that Alakhnanda ji was seriously ill and ailing in a hospital. Since I had gone to BHU to appear in an examination and i could imagine how my parents and relatives could have reacted had I requested them to take me to that hospital just to see Alakhnanda ji?? that is situation in our society. Then imagine what hardship these ladies, these legendary stars, had to face during their childhood in 1920s or 1930s? 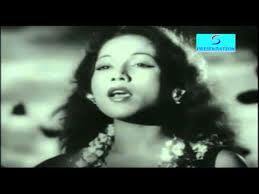 Sitara Devi ji was a permanent star attendance at most famous Holi Dhamal of RK Studio,. Has anyone thought that a LP record of a classical dancer will be brought out in those times? 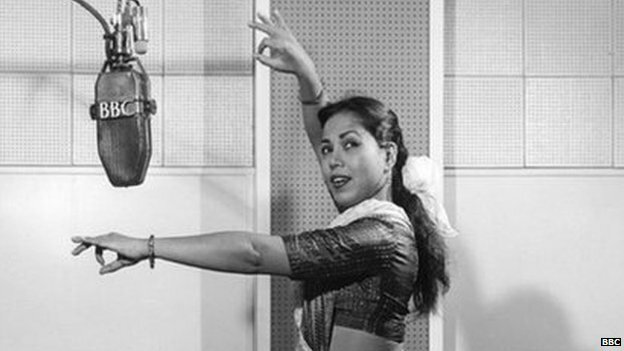 HMV might have thought of her popularity among people of India for her singing and dancing capabilities. Sitara Ji always loved the brighter side of life, i think that shows her positive attitude towards life. the zeal to live life to its fullest. Dilip saheb considered as her sister? She was married to the husband of his sister, thus by our indian traditions She was his sister? we had great traditions in India. Till recently Sitara ji visited Dilip Kumar saheb ji on Rakhsabandhan, to tie Rakhi. Sitara ji married at her own terms. 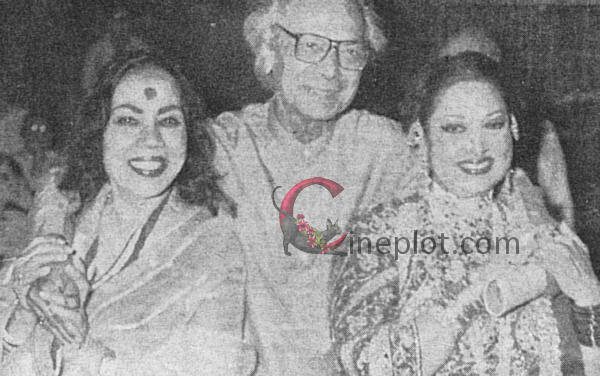 Sitara Devi was married to Nazir Ahmed Khan then to K. Asif and then to Pratap Barot. K Asif was brother of wife of Nazir Ahmed Khan. In this age Dr Sitara Devi ji came up on stage and people sought her blessings, at Sur Singar Sansad. Here daughter of Sitara Devi Ji Smt JayantiMala presented her dance. After Sitara Devi ji and Gopi Krishna ji there is no one who can bear the Torch of Banaras Gharana of Kathak. I mean that charm and majesty which these star dancers carried will be missed. This particular image is enough to describe her untiring spirit and ever ready to dance. She was on wheel chair and still performed on stage at a function organised in memory of women empowerment !!! is it not a symbol of untiring spirit.